A 26-year-old woman was fined £75 last Wednesday at Craigavon Magistrates Court for using a mobile phone while she was driving. Danielle Gleeson, Meadow Bank, Seapatrick, Banbridge, was also given three points and ordered to pay a £15 offender’s levy. 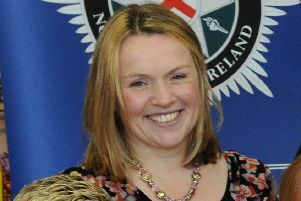 She was seen by police at Flush Place, Lurgan on March 5.